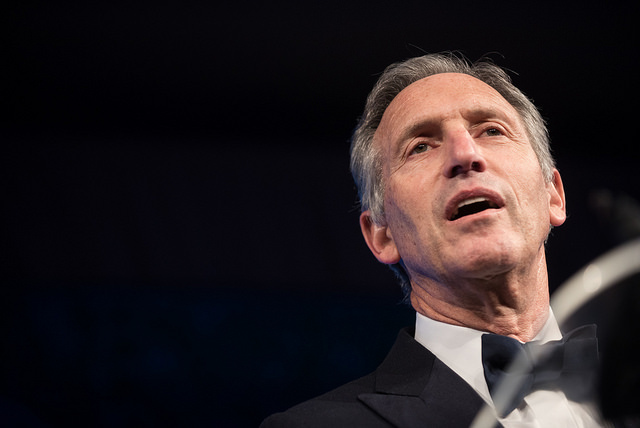 Howard Schultz gives a speech after receiving the Distinguished Business Leadership Award at the 2018 Atlantic Council’s Distinguished Leadership Awards dinner in Washington, D.C.
Photo source: Chairman of the Joint Chiefs of Staff via Flickr Creative Commons. On Sunday, former Starbucks CEO Howard Schultz announced that he might run for president in 2020. It didn’t take long for President Trump to chime in with his thoughts. But the public spat isn’t a one-way street; Schultz had plenty to say about Trump during his appearance on last night’s “60 Minutes.” Schultz—who would be running as an independent—criticized not only with the sitting president, but the two-party system as well. 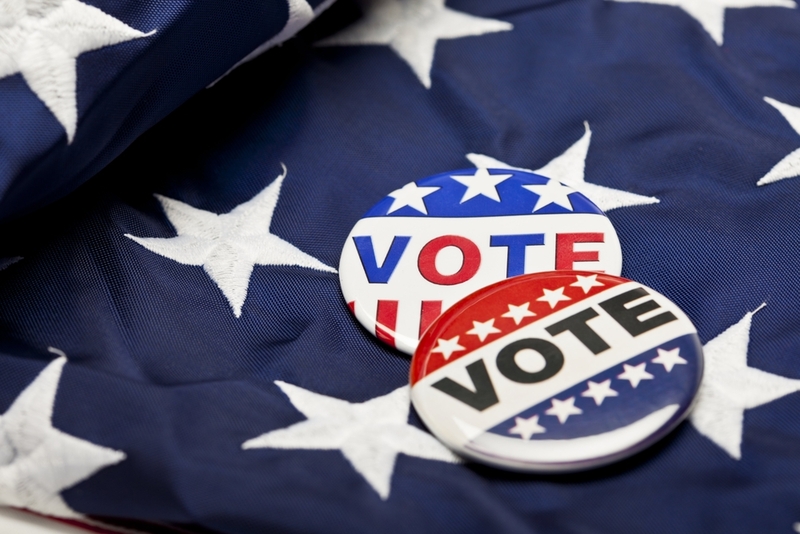 “Not only the fact that this president is not qualified to be the president, but the fact that both parties are consistently not doing what’s necessary on behalf of the American people and are engaged every single day in revenge politics,” Schultz stated. During the interview, CBS correspondent Scott Pelley cited a Forbes estimate that puts Schultz’s net worth at $3.4 billion—which makes him wealthier than Trump. Schultz responded that his amassed fortune would allow him to fully finance his campaign. He also mentioned that he would be willing to release his tax returns immediately. Pelley also mentioned the likelihood that Trump would respond to Schultz’s comments on Twitter. “I’ve become bored with President Trump and his tweets,” an unfazed Schultz responded.